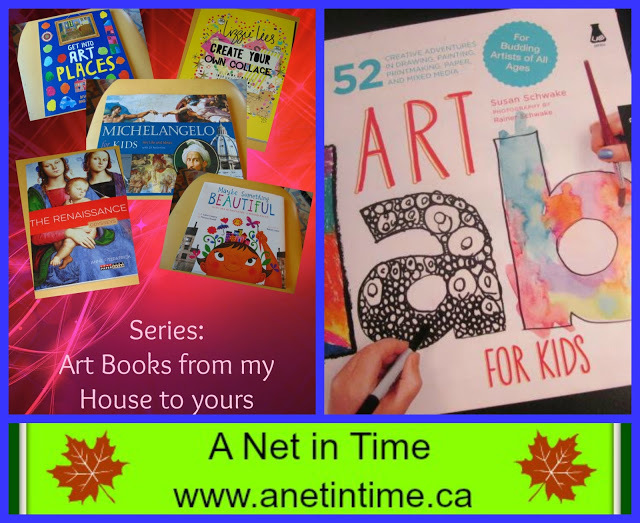 Do you have a child who likes to draw but sometimes or often comes and says, Mom, I want to draw something but I don’t know what! Can you tell me what to do draw? Now…if your child is anything like mine, 99% of the ideas you come up with will be summarily rejected. I don’t know about you but… I FIND THAT IMMENSELY frustrating. Probably shouldn’t, but it is what is right? Enter in… this wonderful book of ideas. 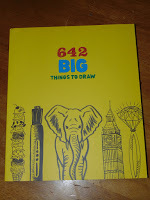 642 Big Things to Draw. So many ideas… if a child can’t find something to draw in here, well… do they really want to draw? Anyways, let me tell you about this book, and I have to tell you books like this are MEANT to be used (unless you are my son who would rather grab an idea and put it on art paper). This is a fairly big book (9.29 x 10.67) that is filled with pages divided into sections. Each of those sections has a word or phrase written in it. With a good amount of space to draw in as well, or if you don’t want to be constrained by space, get a art sketch pad and draw there. It’s all good. 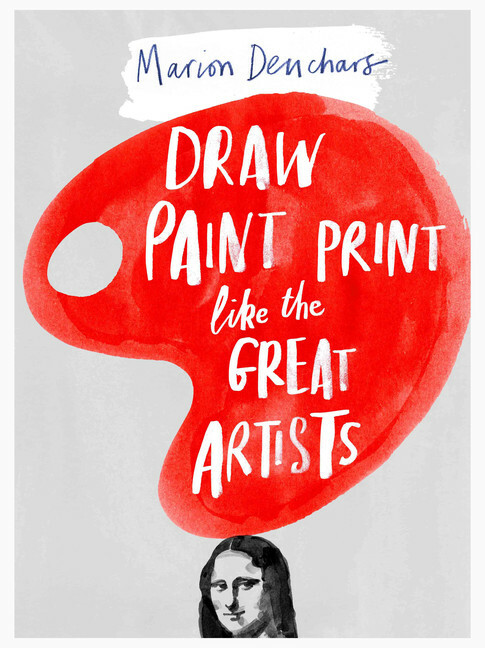 Just draw and let your mind relax as you bring forth your creative talents. Once a week or so my son and I will grab a book and draw for 15 minutes. Sometimes we start new projects, other times we continue to work on projects from the week before. 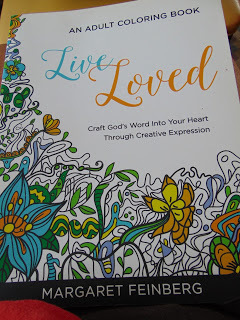 We use this book and others like this book as our sources of inspiration. It is amazing how simple words can inspire art. Affiliate links provided to help you find this great idea starter for doing art. me. I think it will intrigue you too. 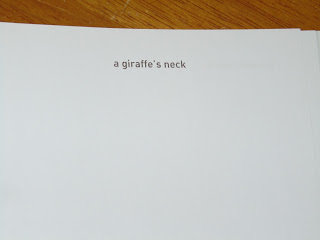 You might be asking, what makes this book quirky? they all have a great attitude and they all work with each other. was and how hard it was to prefect it? this book, it was very neat. can take and some of the history and thought that go on behind them. There is more to art than what you can just see. 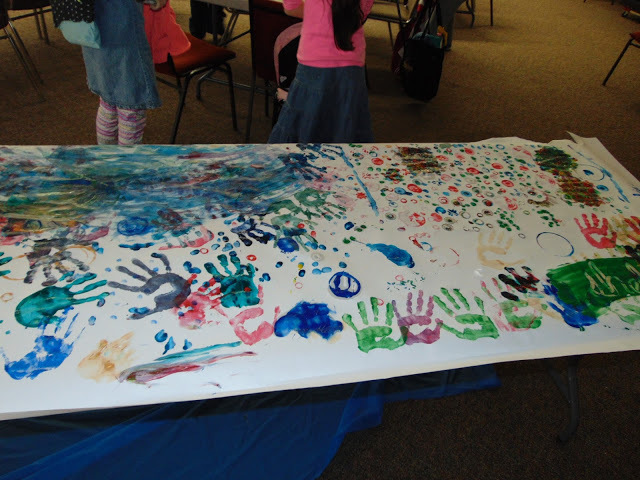 They started with circles and exploring that space, then someone got the bright idea of exploring what they can do with their hands, and then …what if we mixed colours together and swirled them around, and what if we drop lids upside and … it kinda went on and on from there. It was a great finish off for our art class as the students had learned to work together and feed off each others ideas. book, get it! Links are below. 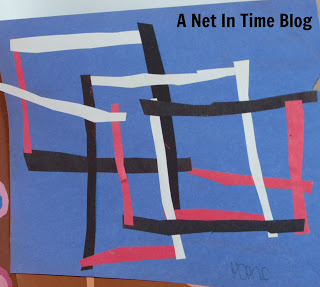 Welcome Wren to my blog today!!! Yes, she is a total sweetheart to help me out with my art series. 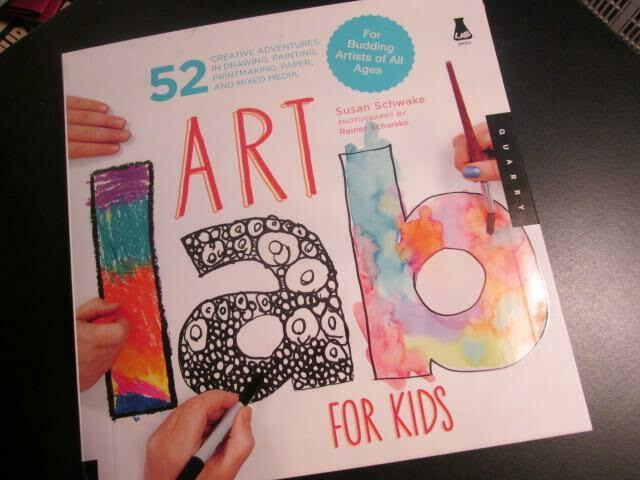 She’s going to be talking about a wonderful book called Art Lab of Kids by Susan Schwake. You will normally find Wren (and her sister) blogging at FinchnWren. 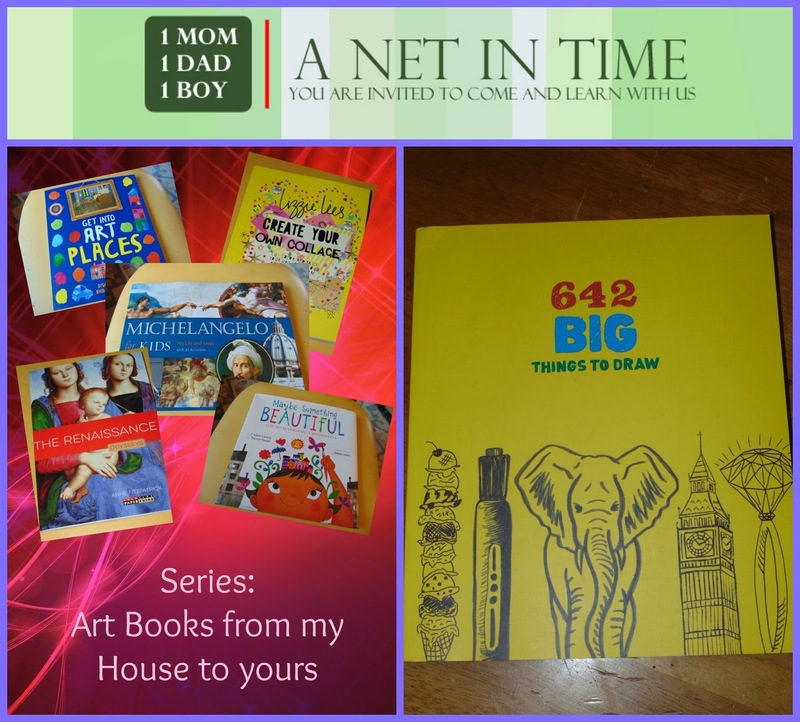 homeschool coop. 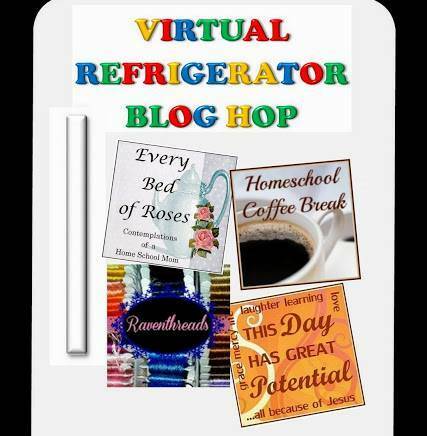 What a resource! 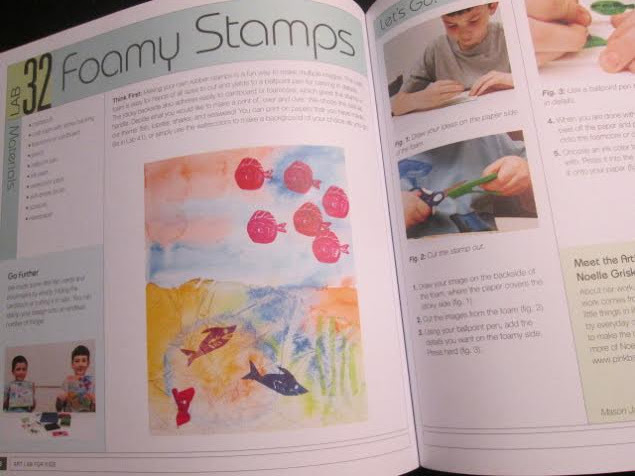 world of artmaking, or art teaching, in a variety of art styles. 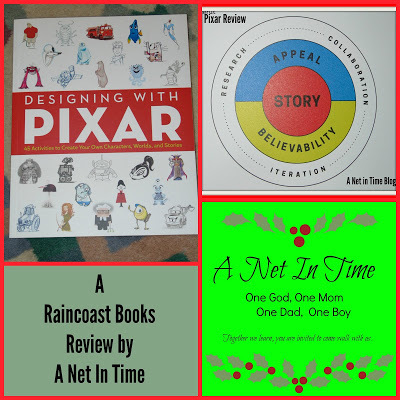 You can find this book through my affiliate links (helping to support this blog). YES! It’s time for another Art Books from My House to Yours. I really need to take the time to provide you with links to all of them, but not today. 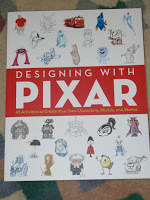 🙂 Today’s book is Designing With Pixar: 45 Activities to create your own characters, worlds and stories. Anyways, when I first saw this 80 page I wondered at its usefulness, and then I really started looking at it. 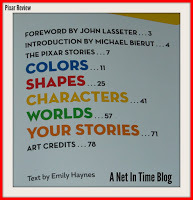 The author Ms. Emily Haynes takes the beloved pixar characters and uses them to help children design better characters, worlds and stories. 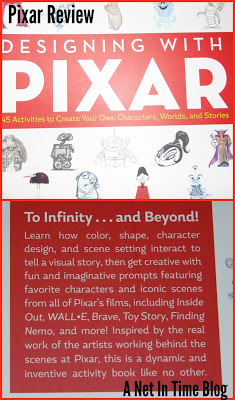 I’m going to be using this book with my lad to help him once he finishes his story, to turn it into a book. 🙂 Won’t that be cool? Using pixar characters we are drawn into determining colours for characters skin, hair, clothing etc. How do those colours make you feel, what do they draw out of you. What makes your character(s) interesting? How would you draw them to show those interests? I won’t say this book is huge and very in-depth, but it does excite the curiousity. What if Nemo wasn’t orange and white, would it have affected how we thought of him? What if he’d been a moray eel instead? Or if Brave’s Merida had long blond tresses rather than a wild mass of long red-haired curls? Colour and shape influence what we think and feel about characters (and perhaps about the people around us… like the book we are listening to right now where the main character likes to dress in greys and browns so she won’t be noticed). Could such a character be drawn and how would you draw such a person? It’s a simple and yet intriguing concept don’t you think? 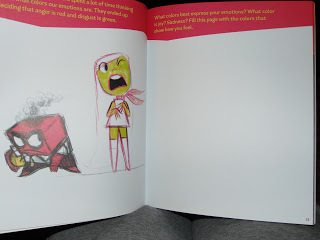 This book comes with a ton of pages to write and colour on. To Design your set and to think through changes you would make to movies they have put together. 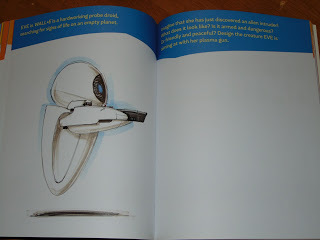 You see this book is the result of work done by Cooper Hewitt, Smithsonian Design Museum and Pixar Animation Studios when they worked to put together an exhibit. 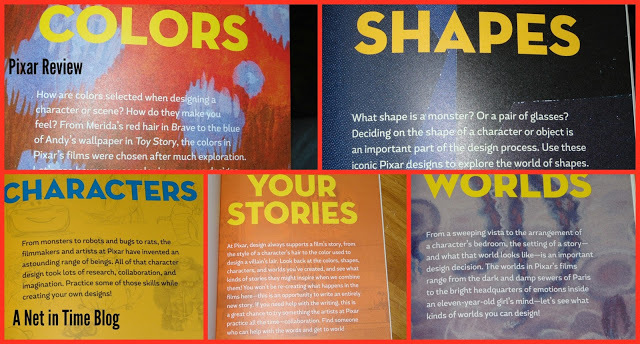 The exhibit was all about Pixar’s design process. Research, Iteration and collaboration. 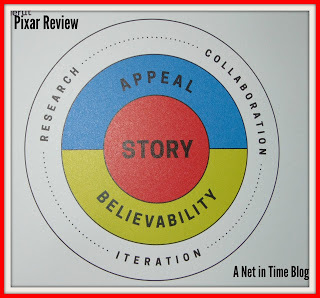 A Story need to have appeal and believability. Research – when you look to the world to help inspire your own work. 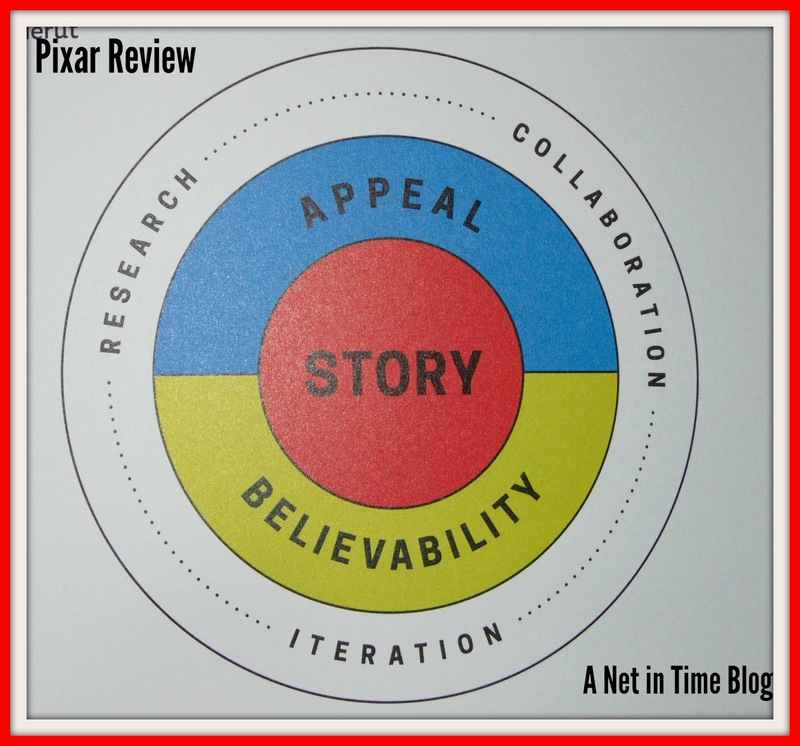 Collaboration – working with other people to help tell a story. The goal of the book: to help people tell their own stories. We are asked to imagine that she has met an alien intruder, what does he look like, his shape and colour? Does the mean friend or foe? Emotions can be different colours, like red for anger, green for digust. What colours could other emotions be? Like Joy or Sadness or excitement? 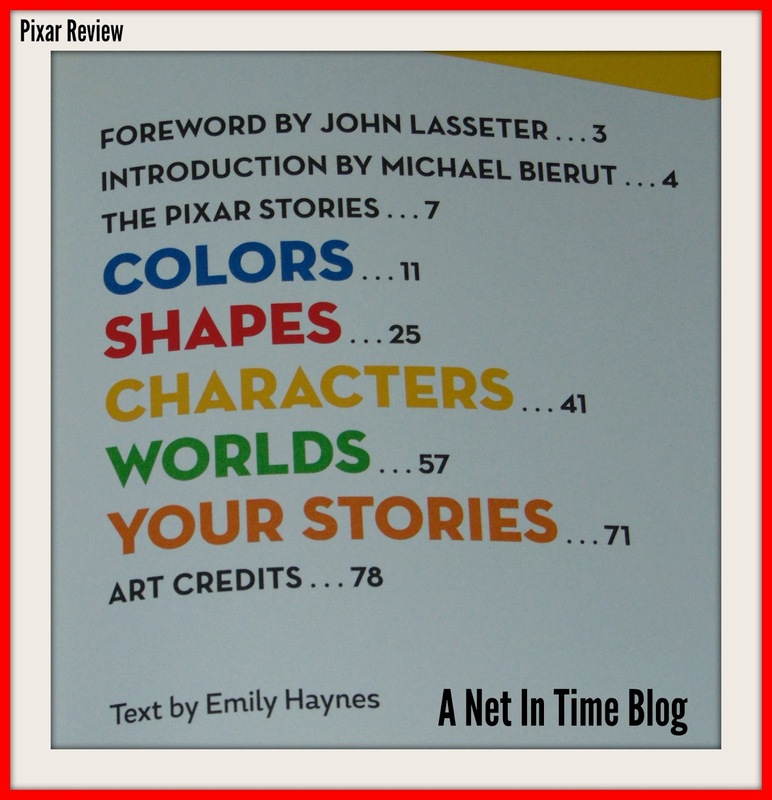 So grab up this book, this inventive activity book that draws you into the world of Pixar and discovery, talk and think about what colours and shapes evoke in your and others. Work together, create your own stories and worlds. 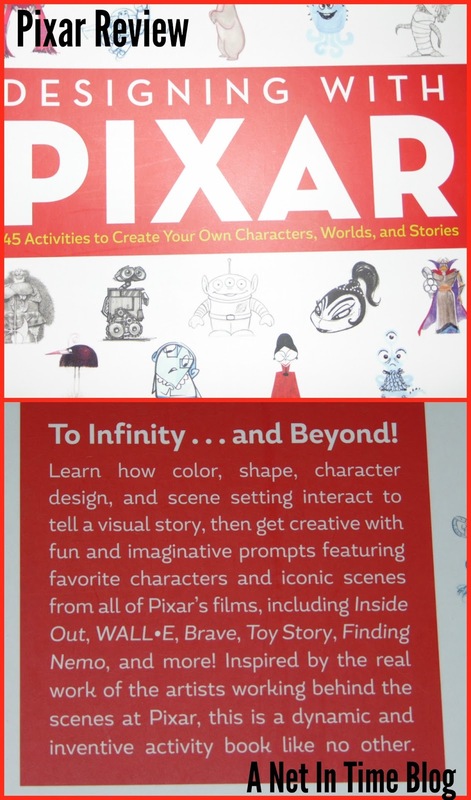 Designing with Pixar: 45 Activities to create your own characters, worlds and stories. Size is 8 x 10 inches. Affiliate links provided for ease in finding this book for yourself. Thanks for your support. 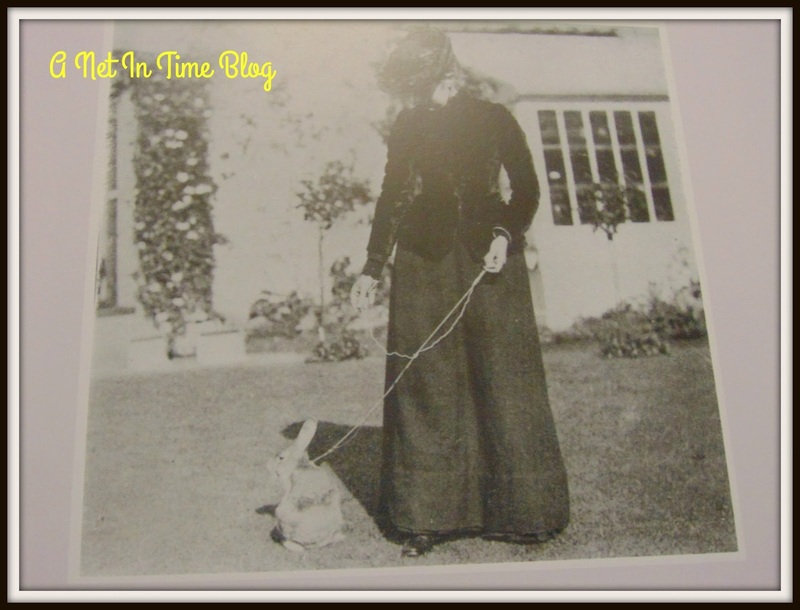 Does the thought of Beatrix Potter and her books bring back good memories? Do you love the art work that she did? 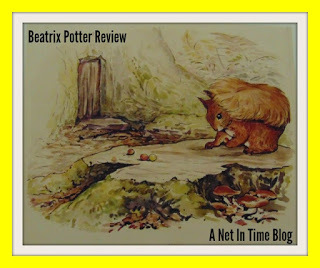 Wouldn’t it be neat to watch a talent develop and see the progression in a famous series of books, as well as to see what else Miss Potter was interested in as an artist? Well then… Have I got the book for you!!! 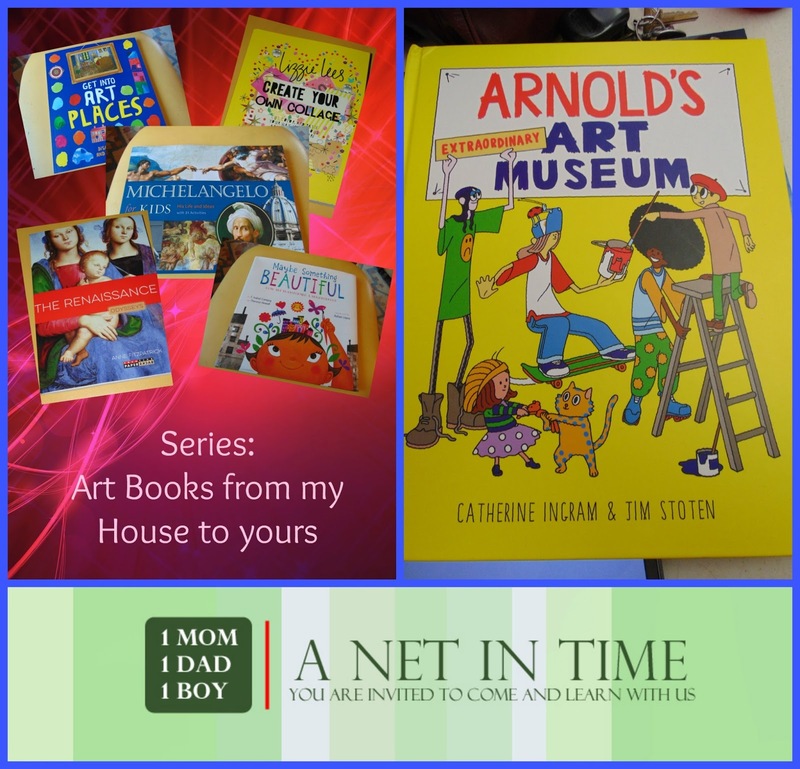 I originally was going to put this book in my art series, (would post mid January), but as I started going through it I thought no…. I cannot wait that long. This book is WAY to beautiful and nice to let it wait that long. Beatrix Potter did such lovely work. 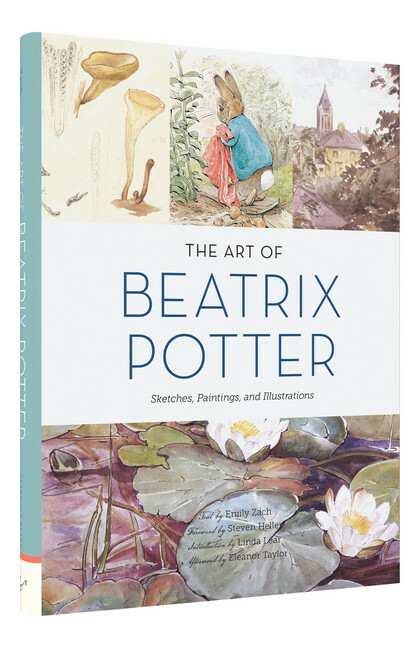 I will be referring to it later on in the Art Book Series, but for now, let me tell you about this lovely hardcover book that tells us all about The Art of Beatrix Potter. So what do you get in this marvellous book? 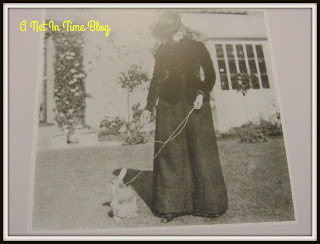 I discovered that Beatrix secretly bought Peter Rabbit, and eventually trained him to walk on a leash. Can you imagine seeing that? Made me grin when I thought about it. 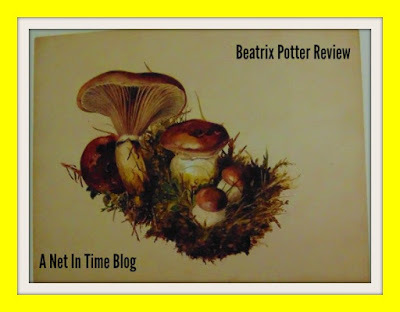 There is SO much I could tell you about this book, just so very much, but I wanted to tell you about the fungi pictures. YES.. 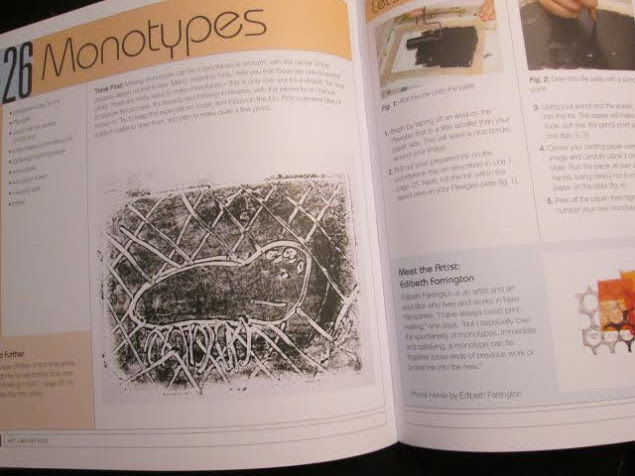 I like fungi, I love taking pictures of them, and as I was browsing through this book look at what I discovered!!!! 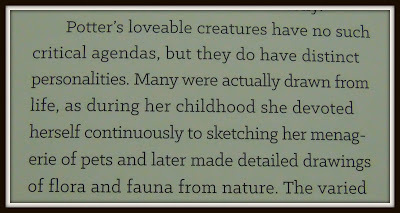 That was only one part of the book though, scattered throughout were all her characters that we know and love, Peter Rabbit, Squirrel Nutkin and all the rest. 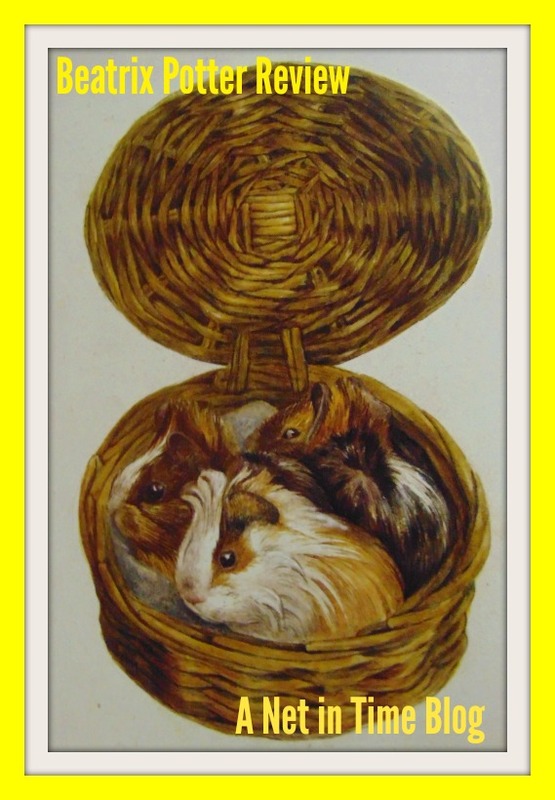 This image made me smile as well, three guinea pigs in a basket. I used to raise guinea pigs and still miss their wheeking at me first thing in the morning. Seeing this picture brought back good memories for me. In fact this whole book did that, seeing the pictures of the Peter Rabbit books and the guinea pigs…just gave me the warm fuzzies. This is a very thorough book that is not a dry treatise. 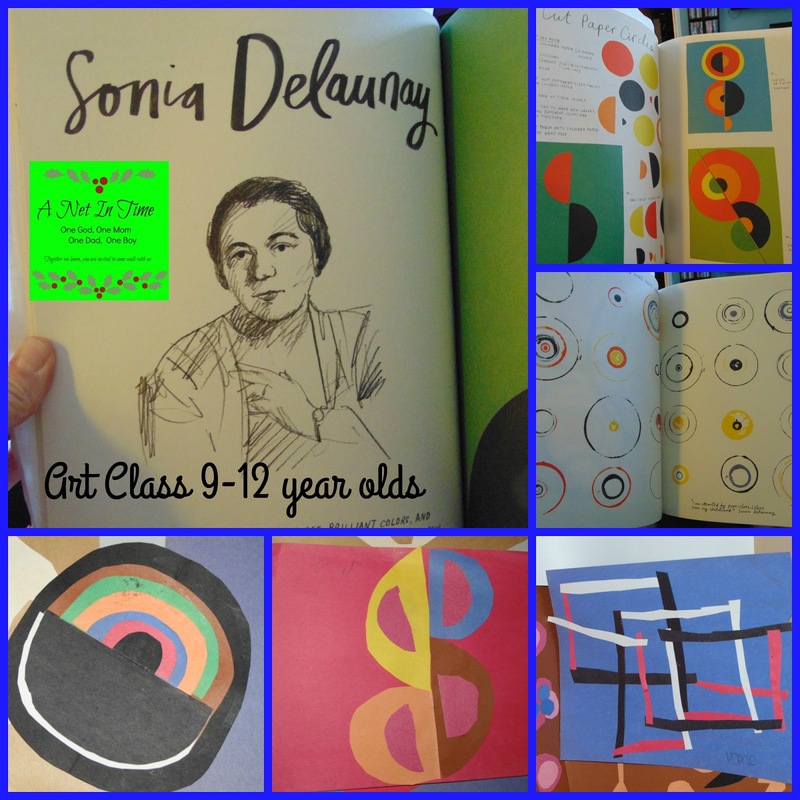 Tons of art work with the words to fill in the details to delight and educate the reader. Beauty in art, and strength and knowledge in words. 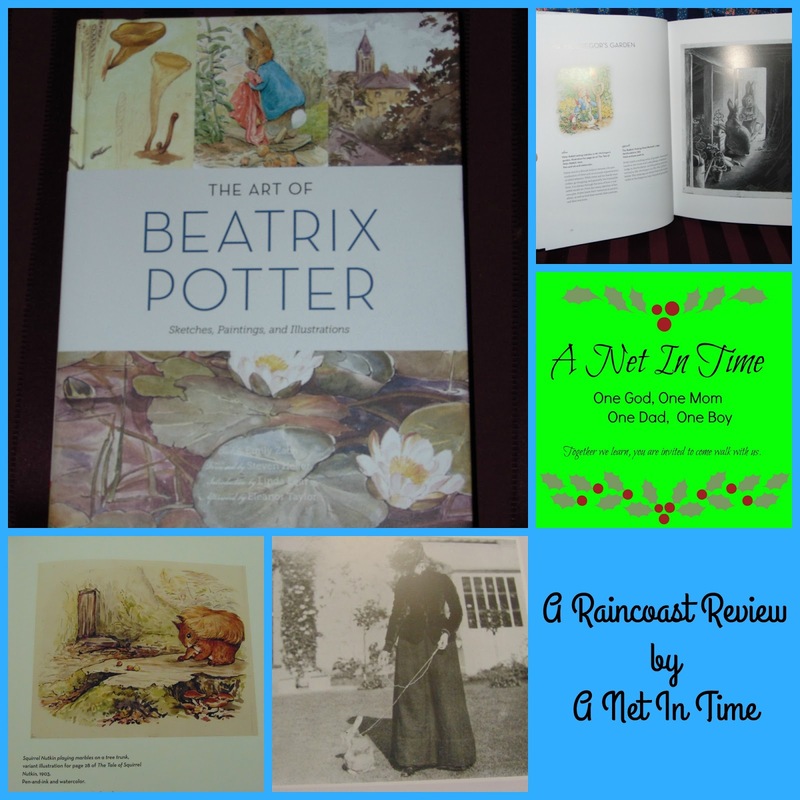 For anyone who treasures the work of Beatrix Potter and wants to know the woman behind the books and how she developed her talent, this book is a perfect fit. 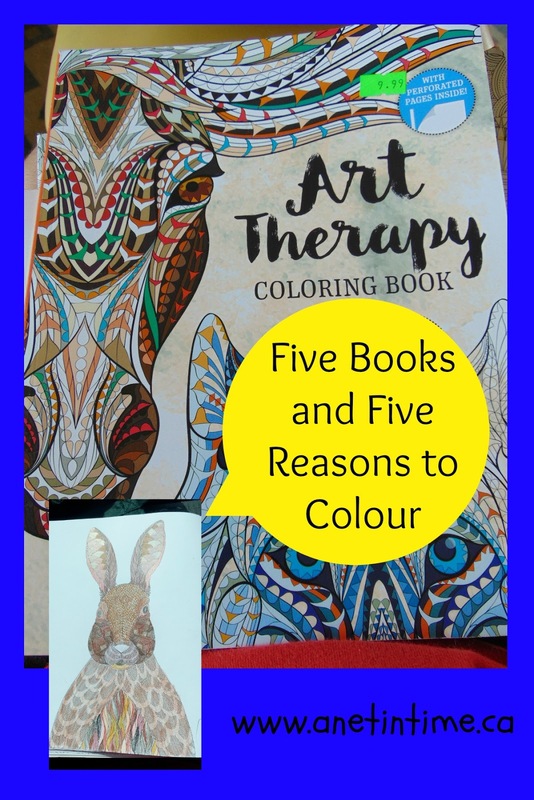 Five books, five reasons, all about adult colouring. Have you joined in on the colouring craze? 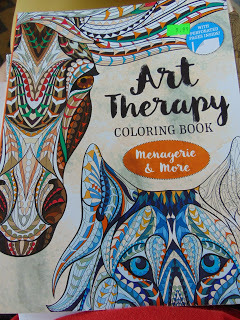 You know.. colouring for adults? I have to admit that when I heard about adults colouring, and not just with their children I thought, huh? What’s up with that? So I went out and bought a book, wanted to see what the fuss was about and discovered something. I enjoy it. Not so much that I want to do it every day, but sitting down and colouring when you don’t want to read and you don’t want to go out for a hike.. it’s an enjoyable way to kill some time without watching the tube. 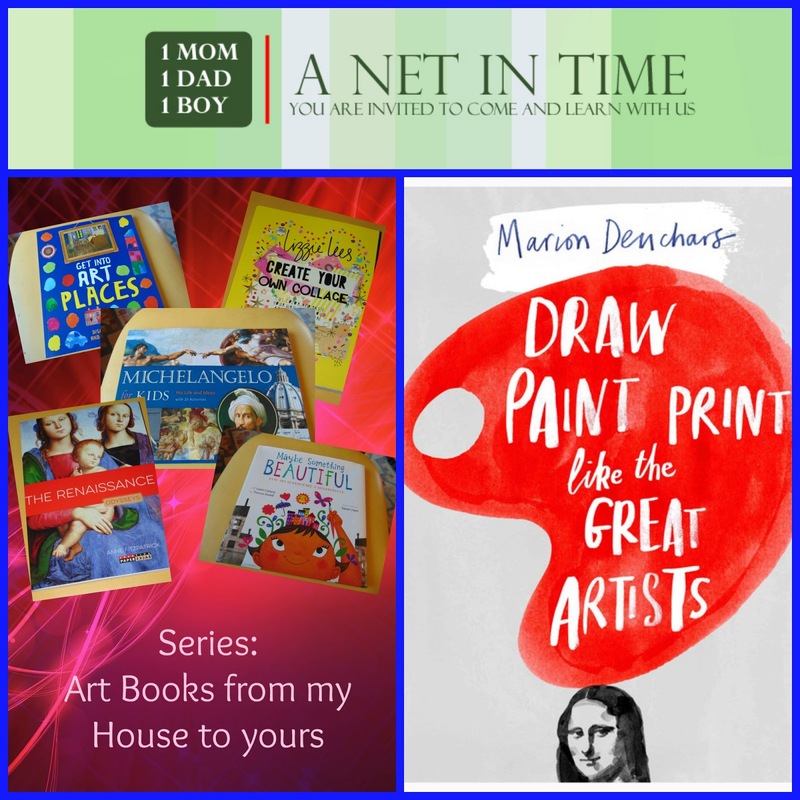 I thought I would take the time today to introduce you to some books that I use and some reasons why it’s good to colour. 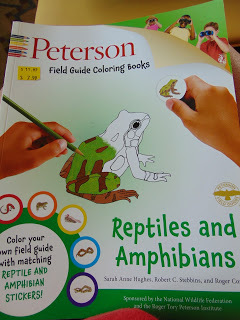 Peterson Field Guide Coloring Books: Reptiles and Amphibians is a neat book that has colouring images of various reptiles and amphibians and is right up my son’s ally for things to draw and/or colour. It comes with small stickers that you can use as a reference as well. This book is actually my son’s. He just grinned when I picked it up. “Look mom! It’s HalfWay!” (a toad of his). 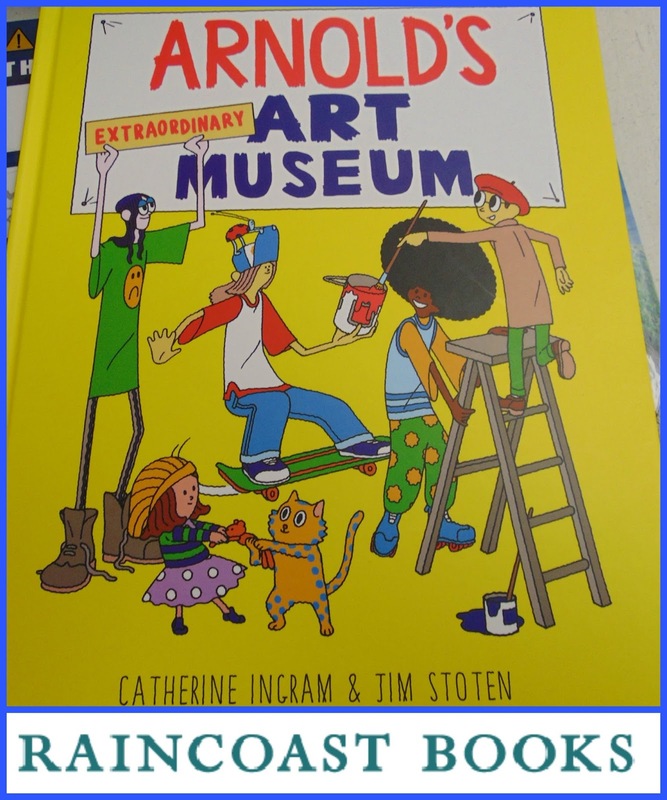 Reason to Colour: No childish drawing that inspire research into a favourite topic or that simply enhances one’s learning about them. My lad likes the realistic drawings and the colours that match colours in nature. 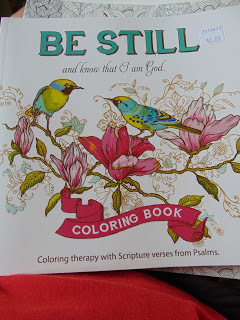 A chance to think on some words of God as you delight in coming up with just the right colours. A perfect book for rainy Sunday afternoons when everyone is tired and just wanting to chill out. This book is filled will flowers and birds and words from the Lord. Not every page contains a verse, or birds, or flowers. But much of it does. 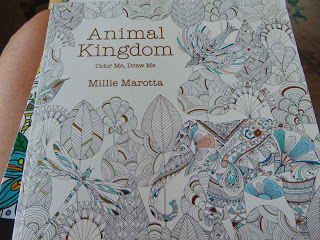 This book is the one that draws people in when they colour with me. 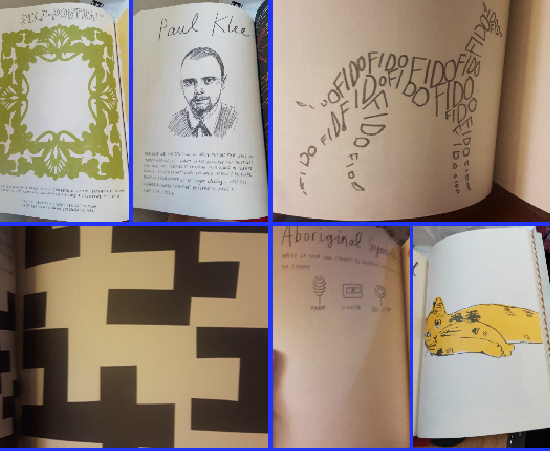 There is SO MUCH variety contained with the pages. I’ve started and stopped with so many pictures as my mood will change with what I want to do. Eventually I’ll get around back to those started. 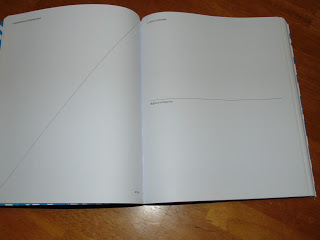 The pages are thick enough to do pencil or marker. This is actually one that my hubby picked out. 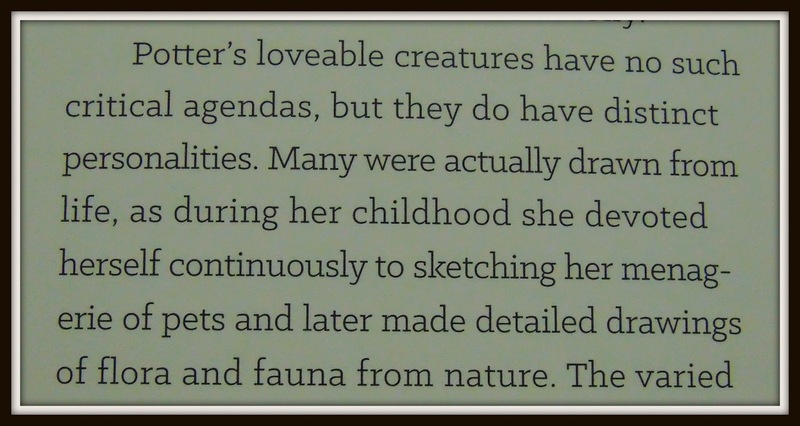 the pictures in it are mostly just animals, and mostly headshots with clean, clear lines. 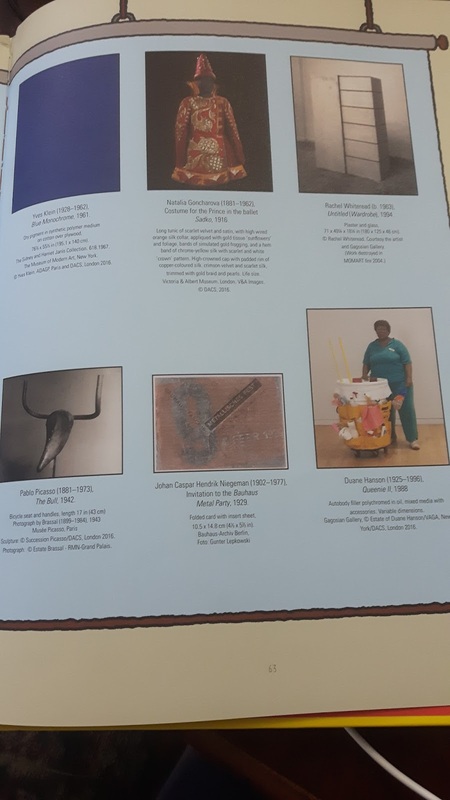 No white on black or pictures inside of pictures. It’s a basic interesting colouring. Reason to Colour: Sharing a hobby with someone I love. 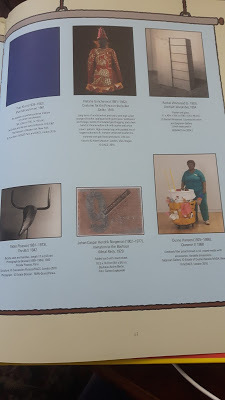 The variety of images allows for different tastes in items to draw. Admittedly this is my least favourite colouring book. 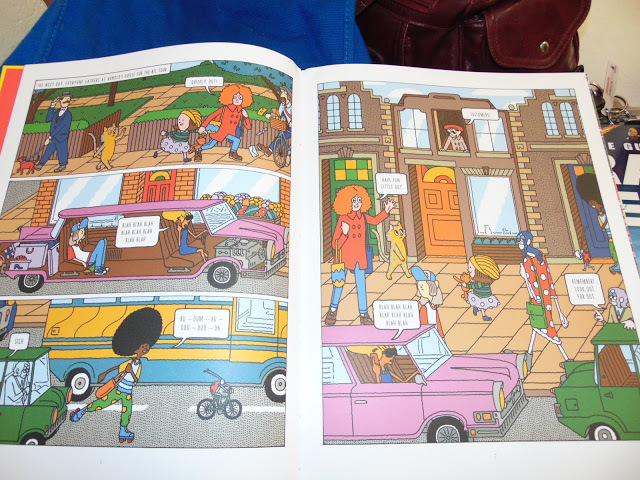 There are things I like about it, but I find I have to pay more attention to careful colouring with this book. Many of the lines are quite thin. Encourages carefulness and attention to detail, which helps to focus on my mind when I have to do things like planning out a school schedule, or vacation plans. 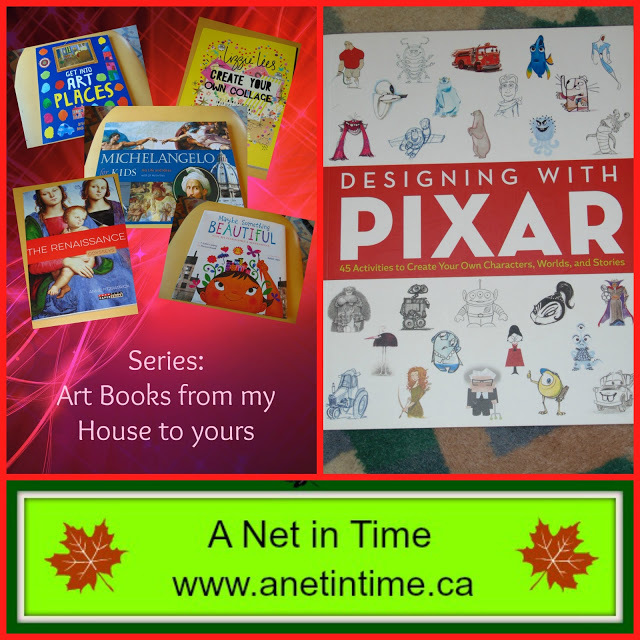 Do you have books that are different than mine?